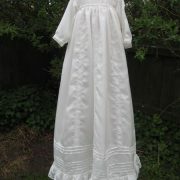 An idyllic silk gown created to replicate the grandeur of the Edwardian era. 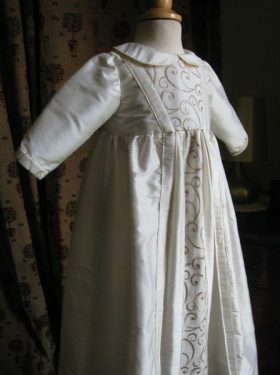 Made from 100% silk habatoi, this gown oozes class. 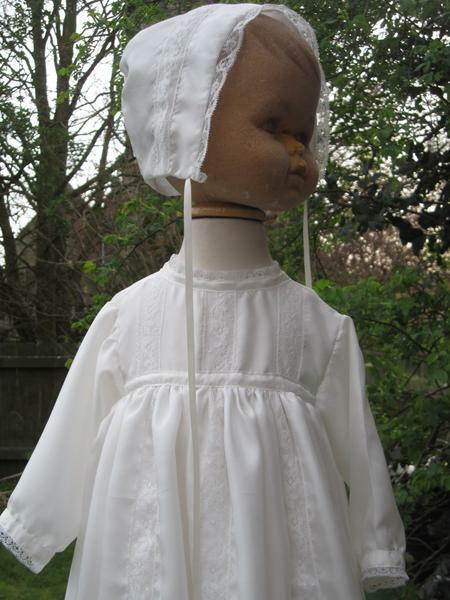 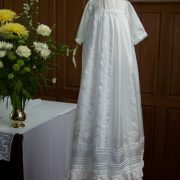 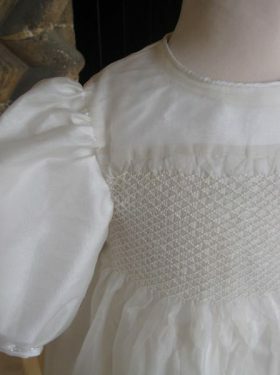 The overskirt has a wonderful hemline comprising a double row of cotton lace underneath three rows of tiny pintucks. 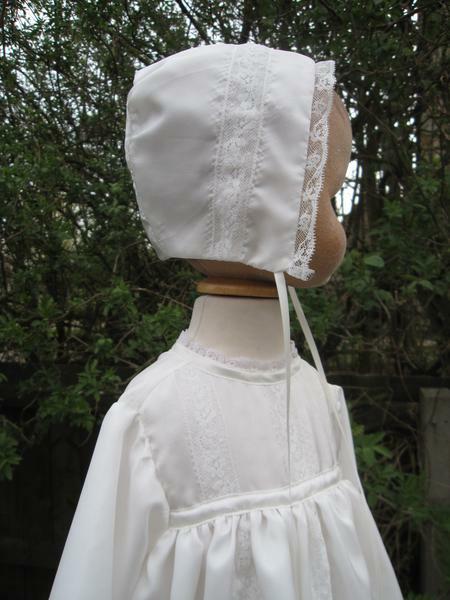 Three vertical lace panels travel up the front of the skirt to the yokeband. 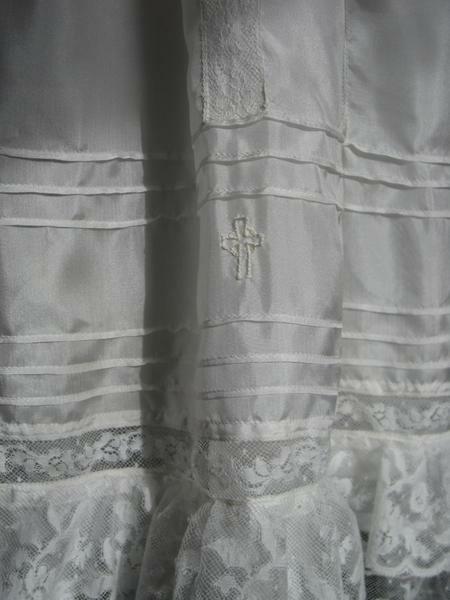 The underskirt is edged in narrow lace. 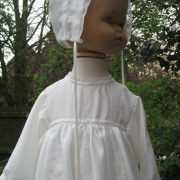 Both skirts join the yoke with tiny gathers. 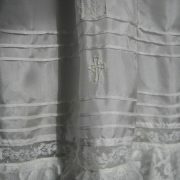 The yoke follows the style of the skirt with vertical lace panels. 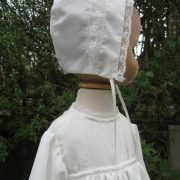 The neck is finished off with a narrow lace trim. 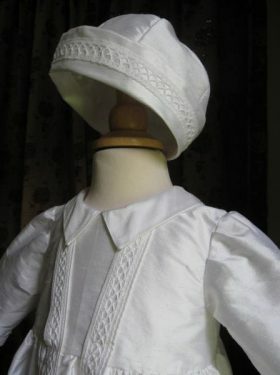 The three quarter length sleeves are softly gathered into the yoke and trimmed with a narrow lace edged cuff. 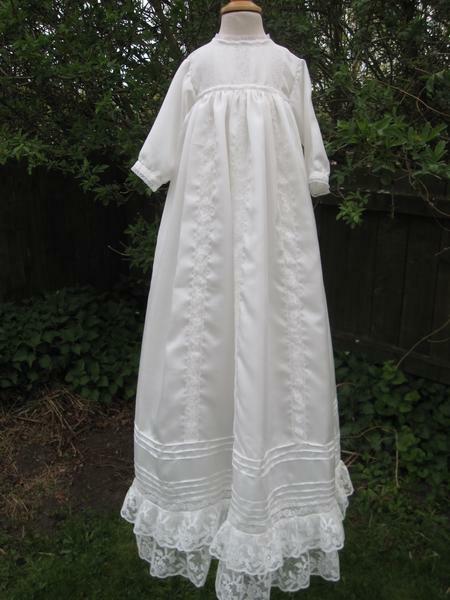 All in all a beautiful, stylish gown that is guaranteed to become a family heirloom. 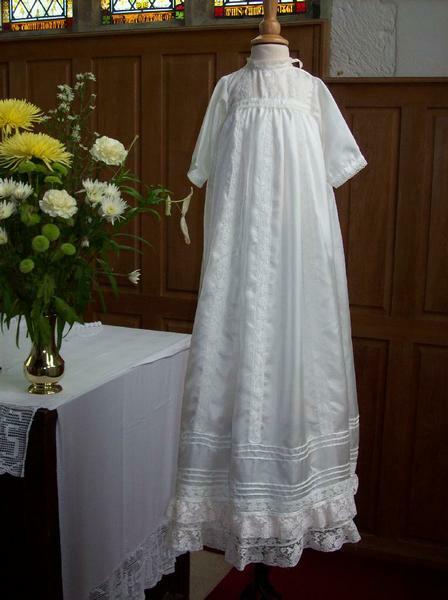 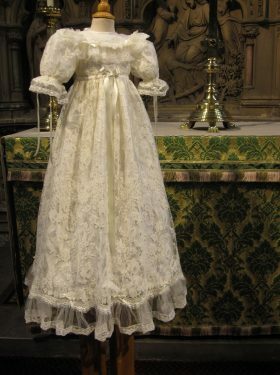 All Angelina Gown accessories are made to match the Christening Gown using the same habatoi silk and matching cotton lace trim.